Delhi hotels at this level are all a bit noisey but this one was ok.
Good location. walking distance to all shopping area. Thank you so much for your reviews, we really appreciate you taking the time out to share your experience with us. We hope to see you again soon. Staff very friendly and helpful. Great location too. It's a very good hotel in a very nice location as it's in the centre of the market and shops, tus, just a walking distance. It has a nice restaurant as well. The staff are very courteous and helpful. Room had tea/coffee making facility, safe, nice hot shower, A/C, very clean rooms as well as room wi-fi. The only downside was the corners of the bed are very sharp and I had cut my leg on three occasions, it should be addressed, otherwise, no complaints. First Of All We Would Like To Thank You For Taking Out Your Precious Time To File/Write This Review. It Was A Pleasure For Us As Well To Host A Wonderful Guest Like You. It Is Guests Like You Who Understand The True Value Of Service, Ambiance And Further Boost The Morale Of Our Team To Perform Even Better. It Is And Will Always Be Our Endeavor To Host You And All Our Guests In The Best Possible Manner. We Look Forward To Host You Again. We had stayed at this hotel before when i was just renovated last year. 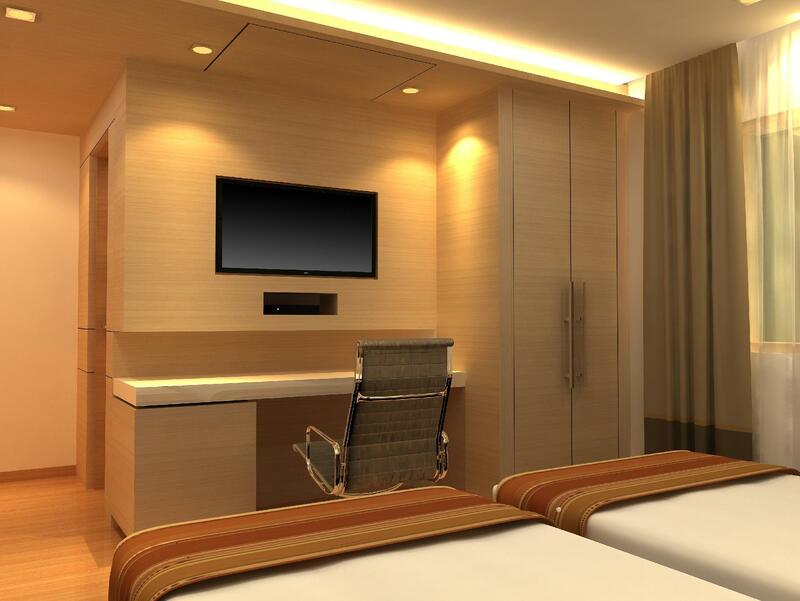 The service was good and quick but rooms provided to us this time were smaller and less comfortable. Near to the metro, watch out for very pushy tri-shaw/taxi drivers best asking the hotel for what you should be paying. ATM around the corner and hotel gives decent exchange rate on cash. Breakfast was OK to adequate. Very clean hotel and excellent service, used it twice. The Manager will give you great tips, he's adorable! The hotel is an good location, and it is great for shopping! I specially enjoyed the breakfast there and the advice of the Manager, who is really helpful. First I'd like to say that somebody in the staff (a man) called my room (I'm also a man) to "ask if I needed anything". I asked for toilet paper and more shampoo, and he ended up asking if he could spend the night in my room. That was odd. The next day I informed another receptionist about it and everybody of course denied it because "there is nobody 'like that' here". I'm still not sure who it was but they claimed it was somebody "from outside" or "from another room", which doesn't explain why they knew my name. The rest of the service team were friendly and polite. With that out of the way, the hotel is clean but that means "Indian clean". Sheets and floor were clean and so was the bathroom but if you moved the furniture you'd see an inch thick layer of dust. 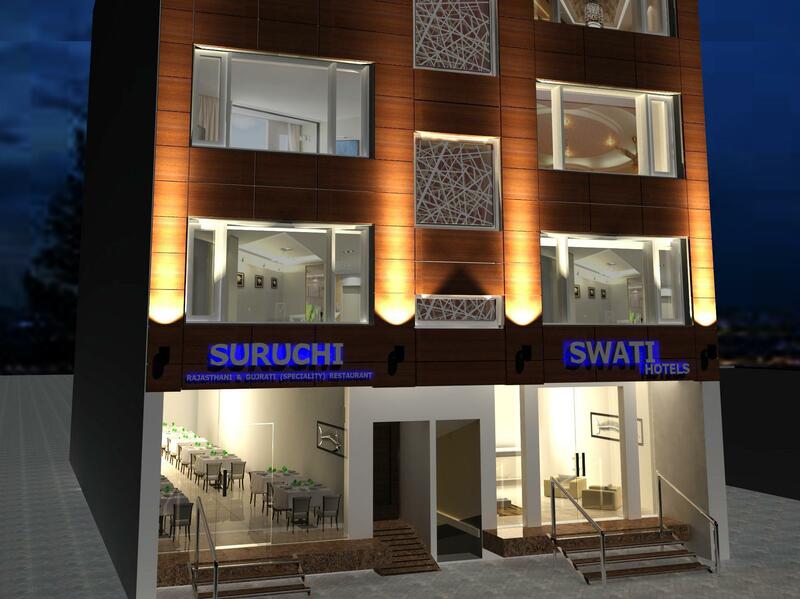 Hotel is in a good location for sightseeing, close to the Karol Bagh area, and also good if you are into "local shopping". There are also some local restaurants but the hotel has got a good and affordable room service. Wifi is fast but it has got a silly voucher system so every day you have to keep asking for vouchers for every device. Breakfast was good and simple but predominantly Indian. I reached in the morning but had to wait for the room allocation as the check out time turned out to be 12 noon and I missed to indicate them for EARLY CHECK IN. However as soon as the room got vacated , they gave me immediately after proper cleaning. On check out , I gave them the luggage for retrieval in the evening.Unfortunately, I lost the coupons (my purse was stolen by a pick pocketer in the Delhi Metro Train). However, the staff cooperated with me in delivering the luggage in time and were showing a real sympathy, though I got angry with them at the time of check in for non allocation of the room for 2 hours). 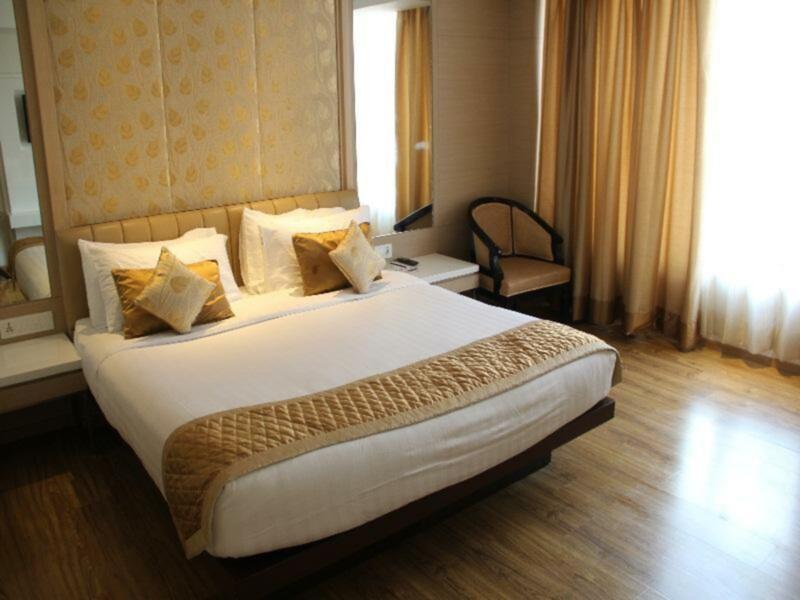 Value for money and better than other Karol Bagh based hotels in New Delhi. Food was good. we stayed 6 days and it was an excellent experience!!! the service is perfect, very kindly and polite. the rooms are very good and clean, have all the commodities we were looking for. the cheapest room are a little bit small and without window to outside the food is very nice, the breakfast could have more continental options but its ok. the dishes are vey big and cheap prices!! the location it s ok!, near the market we recommended 100%. Pretty nice hotel inspite of being in a busy market. Room was very neat and clean. Wnidow A.C. should be replaced by Split units. สถานีรถไฟใต้ดิน Karol Bagh - ระยะ 0.36 กม.